Orbs are bright translucent circular objects that show up on photographs. There is a lot of controversy about what or who they are. We will talk to someone who has been trying to sort that out and just wrote a book about them. 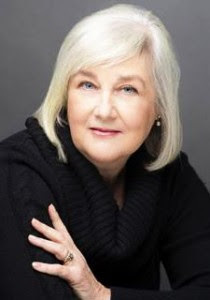 Susan Collins, is an internationally acclaimed dowsing teacher, Keynote Speaker, and workshop leader and author. She uses traditional dowsing tools as well as the power of heart and thought to detect and transform non-beneficial Earth, Environmental, Psychic and Other energy patterns. I have met her many times and she has been on the show before. We always learn a lot and have great fun! As a speaker, she has shared the stage with Bradley Nelson, Lynne McTaggart, Donna Eden, Gregg Braden, Grahame Gardner, Christian Kyriacou, Grahame Hancock, Stephan Schwartz and the leading dowsers of her generation, including the late Walt Woods, Harold McCoy, Slim Spurling, Joe Smith, Gary Skillen, Bruce Magill and many more. She has also presented with the Hon. Paul Hellyer, Stanton Friedman and Don Donderi. Her strong business background helped Susan develop her Personal Management Consultant practice. She describes her career: "Way back in 1979 I was hired by a startup internet company in Canada to manage the design and development of on-line applications. I managed a variety of graphics, marketing and sales teams and was responsible for introducing a variety of new telecommunications products in Canada, and supporting sister start-up operations in the United States. She is a founding partner of International Dowsers offering dowsing services globally. "My corporate career ground to a halt when my health gave out in my late twenties. My road back from chronic illness led me to dowsing (the detection and transformation of energy) after both regular and alternative medical therapies were ineffective in treating the rheumatoid arthritis that had severly compromised my mobility. Now I combine the management skills developed in my corporate career with the intuitive skills honed in my energy practice to provide integrated Personal Management Consulting services to assist people and businesses in ways that traditional consulting methods do not provide. The proof of the effectiveness of this approach are in the positive results that clients experience.